Tunney’s Pasture is a redevelopment project in Ottawa. Currently a sprawling government campus of aging buildings and parking lots on the edge of the downtown area, the redevelopment project aims to create a mixed-use community that blends new government infrastructure with residential development and local amenities, and to create one of the most sustainable community development projects in Canada. Tunney’s Pasture offers the Federal government, and more specifically Public Services and Procurement Canada (PSPC), with a unique opportunity to create a sustainable community that demonstrates Canada’s commitment to environmental and social responsibility. With the potential to accommodate 20,000+ employees, the new community will emphasize healthy living, ambitious carbon reduction targets, community open spaces, and connections to the Ottawa River, and in doing helping the government meet many of their sustainability objectives. 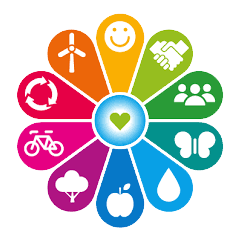 Urban Equation developed a process by which PSPC identified sustainability goals and targets, and is currently working through an implementation process that will respond to the development horizons, and complex phasing of the redevelopment. Urban Equation conducted extensive stakeholder engagement on this project, requiring stakeholder alignment between all three levels of government. This engagement informed the development of sustainability principles, goals, strategies, and actions, and a sustainability conformance framework that guided the creation of the urban design guidelines.